Innovative design and economical in size makes this ECO friendly vanity ideal for any smaller location, perfect for going "Green". Available in various finishes ensures that regardless the color scheme at hand, anyone is sure to complete their space with guaranteed cutting contemporary chicness. Finally! A vanity ensemble that gets you in and gets you out into the world with style! 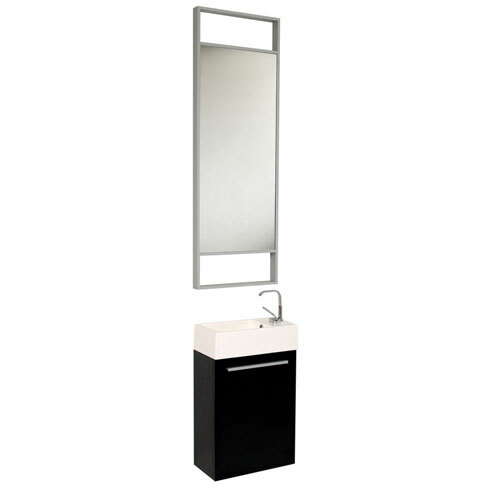 A winning combination is complimented with an extra long vertical mirror and included faucet. Optional side cabinets are available. Your Vanity includes the Faucet(s) FREE! 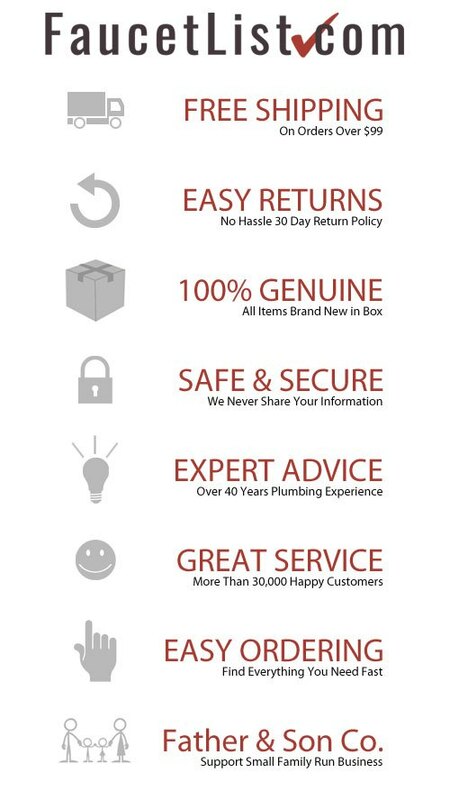 If you purchase a single sink vanity you will receive 1 free faucet. A double vanity comes with 2 free faucets. All Fresca bath products carry a 3 year manufacturers limited warranty on parts, which includes all bathroom vanities, faucets, storage/linen/medicine cabinets, mirrors, toilets, shower panels and bathroom accessories. We believe the bathroom is the most important room in the house. In the morning we use the bathroom to get ready and center ourselves as we prepare for the challenges of the day. In the evening we use the bathroom to relax and rejuvenate before going to sleep. Because our day begins and ends with the bathroom it is important that it is a peaceful and private sanctuary. All of our product lines have been created with this goal in mind by pairing high quality, durable materials with cutting edge designs. We make sure each product we produce deserves to be in the most important room in the house, and enhances the beginning and end of each day.